Become An Angel of Deliverance! The Boeing C-97, one of the world’s largest propeller transports, is on the verge of extinction from the skies. The BERLIN AIRLIFT HISTORICAL FOUNDATION is trying not to let that happen. The Foundation has purchased Boeing C-97G s/n 52-2718 “ANGEL OF DELIVERANCE”, the only airworthy C-97 left in the world. As the C-97 played a major role as heavy transport and aerial refueler, it has been regarded as the “Unsung Hero of the Cold War”. Fittingly, we plan to place within “Angel of Deliverance”, a Cold War museum and memorial which will be flown to events around the world to fulfill our “Mission of History, Education and Remembrance”. It will tell the story of the Cold War from the Berlin Airlift of 1948-49, to the Fall of the Berlin Wall in November of 1989. 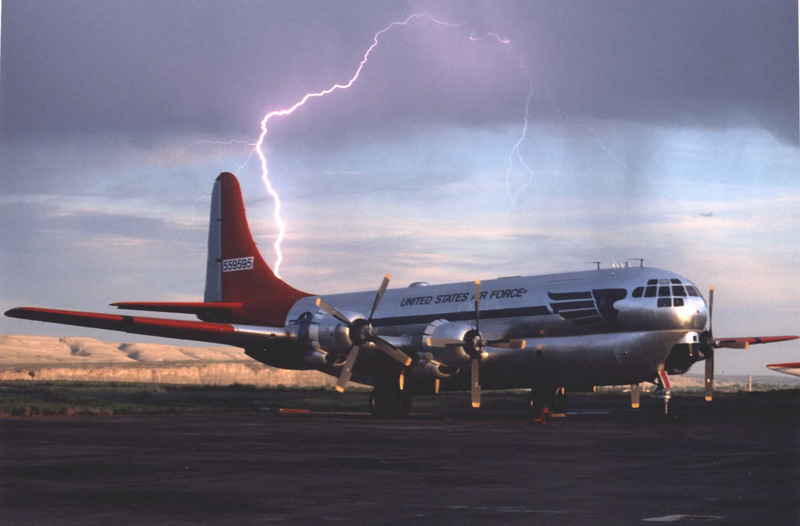 50 years of Cold War history, partnered with our Douglas C-54E “Spirit of Freedom”, a flying exhibit to the Berlin Airlift , will present a “living history” experience like no other. Have your name permanently displayed inside our Boeing C-97G for contributing $5000 to help finish the restoration and museum installation. This is a critical phase in our C-97 program as we are in the middle of "Phase 2" and we also want the best exhibit for our Boeing C-97G. It will take some time but we have a good airplane to work as the "Angel" is in excellent condition with a mere 8000 hours on its airframe. It goes without saying, the Boeing C-97G is an extremely large airplane and requires a lot of support. The Foundation's objectives to present the entire Berlin Airlift History to the public needs dedicated patriots with vision to keep those powerful Pratt & Whitney R-4360's running for all to hear and to witness the Boeing C-97 in flight. Join the list of those patriots with the vision to see what a rare opportunity this is to help keep the "Angel" in the air. 20 Will it be YOU? Become an "Angel of Deliverance"
For more information on how to become an "Angel" of Deliverance, click here.